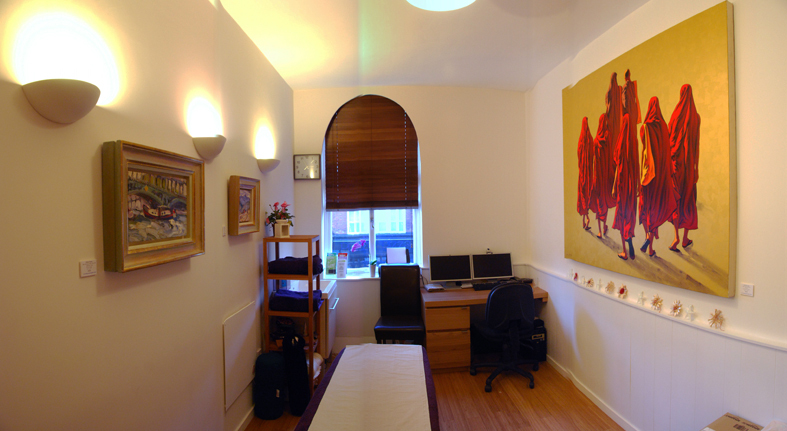 Chelsea Natural Health Clinic is based on the Fulham Road in central south west London and we currently have availability for practitioners looking to let / hire therapy, treatment or consulting rooms. We have 3 rooms at the clinic, 2 of which are set-up for body work and physical treatments (having a permanent (rather than folding) height-adjustable treatment couch etc). 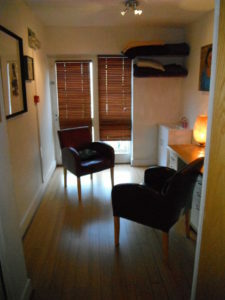 The 3rd room is slightly smaller but has a wonderful view over the gardens at the rear and we consider to be more of a space for the more verbal therapies such as counselling, life coaching, hypnotherapy, psychotherapy, NLP etc. 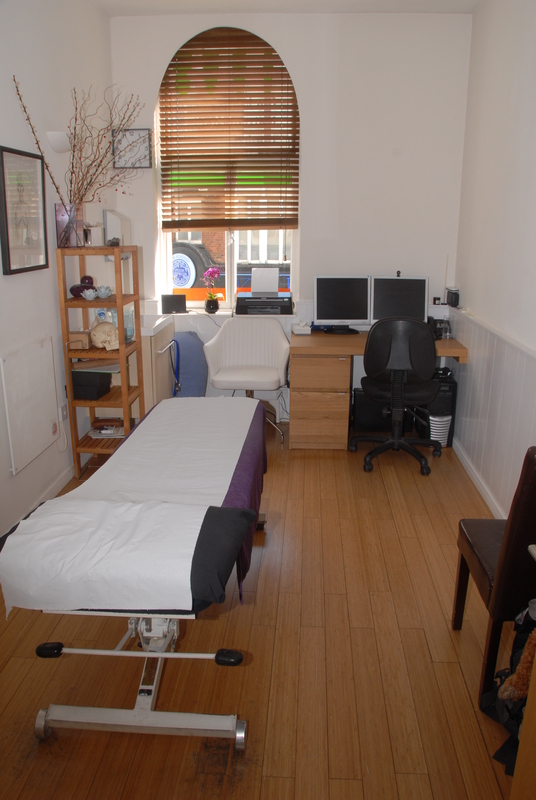 It can however be set-up for treatments and is used for therapies and treatments such as shiatsu, massage, reflexology. We are on the first floor and all rooms have windows, so plenty of natural daylight. Rents, are we think reasonable and we do offer an initial discount to new practitioners. Included in the regular agreement are towels, cleaning, reception (including use of the 24/7 online booking facility, inclusion in the marketing activities of the clinic and use of all the clinic facilities). We are also very lucky to have on our walls an extensive collection of fantastic art courtesy of Tanya Baxter Contemporary Art Gallery. All of these works are for sale and we act as a 2nd gallery space for the the gallery. 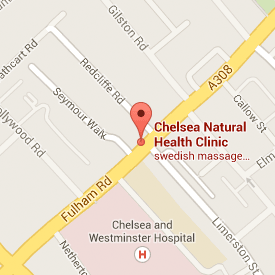 Chelsea Natural Health Clinic is based in a lovely part of London, being on the Fulham Road in SW10 just opposite the Chelsea & Westminster Hospital. We are well placed in terms of catchment for central, west and south-west London including postcodes sw1, sw3, sw5, sw7, sw11, sw15, sw17, sw18, w6 and w8. We are outside the congestion charge zone and well served by local bus routes and within walking distance of South Kensington, Gloucester Road, Earls Court and Fulham Broadway Tube stations. If you are looking to hire therapy / treatment or consulting rooms then do please feel free to Email Us as at the clinic, or by calling us 02073523087.